Yesterday I planted tomatoes in the 5×5 garden. We’re pretty much past the point of frosts, especially here in my garden which is a high south facing slope. The night time temperatures have been dipping less and less into the 40’s and the days are feeling warm. With these warm days the tomatoes are taking off in their cell packs. One signal for me that it’s time to transplant tomatoes into the garden is when I start seeing tomato seedlings pop up around the garden from last year’s fallen fruit. This is a signal that the soil is warm enough for these warm soil loving crops. If you notice there’s a dandelion blooming back behind the tomato. I purposefully leave these in the garden because they draw up calcium and other nutrients from deep within the soil. Calcium is important for tomatoes in particular helping them set fruit better. This makes dandelions a perfect partner for them. Sometimes weeds can be beneficial for our gardens! 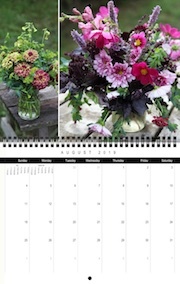 Have you planted warm weather crops yet? Or do you live in a warm climate where you planted them long ago and are eating tomatoes already? In Buffalo when it hits 40’s ish degrees, we open up our car windows and crank up the music to celebrate!! Memorial Day signifies for most of us the day we can safely plant, I already know of a few families that lost all their plants due to frost. I did not know about dandelions and calcium deal! Weeds being a good force is something for me to think about today. We officially have plants and seeds in the garden here in SE Ohio, no more frosts and we’ve had blackberry winter too. I didn’t know that dandelions pulled up calcium! That’s neat! I’ve read that putting clean, crumbled eggshells in the holes with tomato plants helps with calcium and fends off blight too. We tried it last year in our clay-y soil (still working on getting it to behave better), we didn’t see it made any difference. We weren’t sure how many eggshells either so we just tossed a handful of crumbles in with a few plants. Have you heard of this, Suzy? Susy, I planted tomatoes in Terra Nova Gardens yesterday with high hopes of a wonderful harvest. Seven plants plus six in my backyard should keep all my friends and relatives happy come August. It was so good to be planting in the soil with dirt stained fingers. When I first started clearing the land at Terra Nova Gardens not a single worm did I find. Last year after putting on some fall mulch a few worms were found. This year after more mulch, every shovel turned has worms galore. I knew the weather would turn quick this year and it seems that it has. We have gone from freezing plants a week ago to middle 80s and high humidity. This year had hardly any Spring weather. Today more planting at Terra Nova Gardens. Ha, our first tomato here will probably be in August since the later than frost date freeze killed them. Have a great planting day in garden. I too have been waiting for the volunteers to come up and signal it’s time to plant! No luck yet, but it’s still a bit early in my part of New England. Most of our tomato plants have fruit and I hope to be eating ripe ones soon. I’m a little behind on other warm season veggies like squash and melons and hope to plant seeds this weekend for those. I just harvested my first tomatoes this week. We get an early start here in Austin but by July it’s too hot for the plants to set fruit, so we have to get what we can, while we can. I’m in South Austin — South of Slaughter Lane. I’ve found that the smaller tomatoes like Juliet and Sungold hang in there during the summer months . . . especially if you can use a bit of shade cloth against the afternoon sun. I have volunteers coming up in my MN garden. I put tomatoes in pots, and two in the ground. I am still hardening off my peppers. I am waiting for the squash to get bigger before I put it out, and I have to harden it off. I did plant some squash seeds though. Some volunteer squash coming up, but I want to let the soil warm up some more. We’ve been eating tomatoes for a few weeks now. I’m growing three varieties in my yard with some success. Nothing like a tomato & mayo sandwich with homegrown! I’ve just started picking ripe tomatoes here in Austin, Texas. One plant is now approaching 5 ft. Summers are brutal, so getting a jump on them in early Spring is a must. here in the caribbean am waiting for the rain, But i have two plants in a pot with some flowers…….looking forward to fruits very soon. 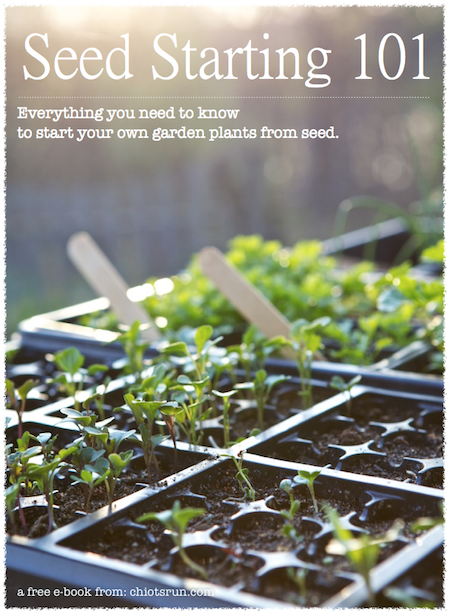 Two great tips (dandelions and seedlings popping up) in this post–never heard those before! My tomato seedlings are still under the grow lights; I’m itching to get them out in the garden, but will probably hold off a little longer. We’re going to try them in a small greenhouse in the garden this year and it’s not up yet!